This kitchen refresh puts a fun twist on country. 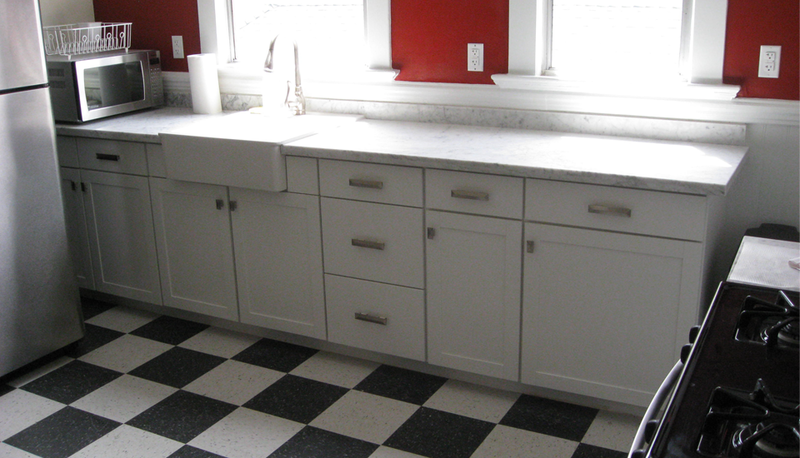 The contemporary apron sink and cabinetry, checkerboard vinyl tile floors, and bright walls, create a very personal and playful space. 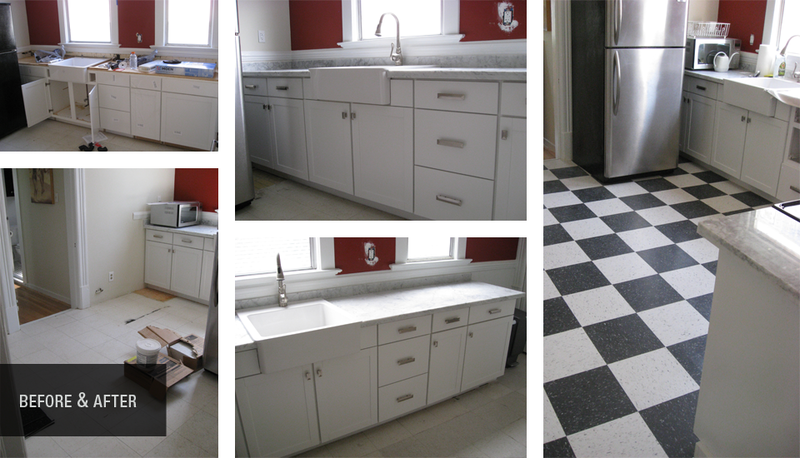 Project included: Installation of cabinets, apron sink and faucet, vinyl tile floor, electrical and plumbing upgrades. Designed by owners.